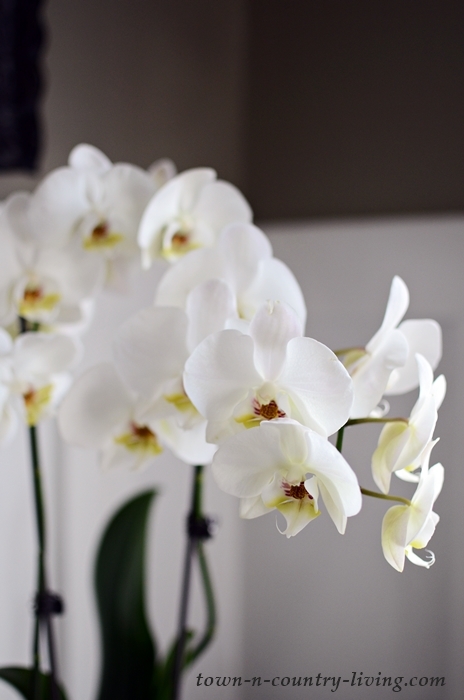 Contrary to popular opinion, orchids are fairly easy to grow once you know what they like. 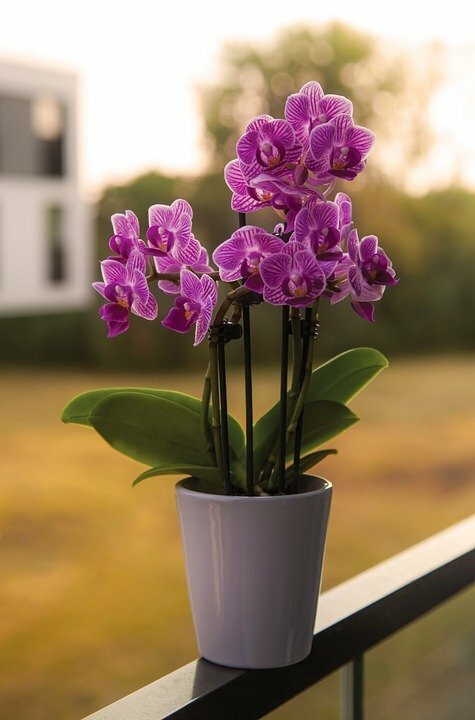 And if you’re the type of indoor gardener who forgets to water her plants, then the choice to grow orchids is perfect for you! Orchids don’t like wet feet and won’t live long if their roots are always damp. Water them once per week and allow the potting media to dry out between watering. 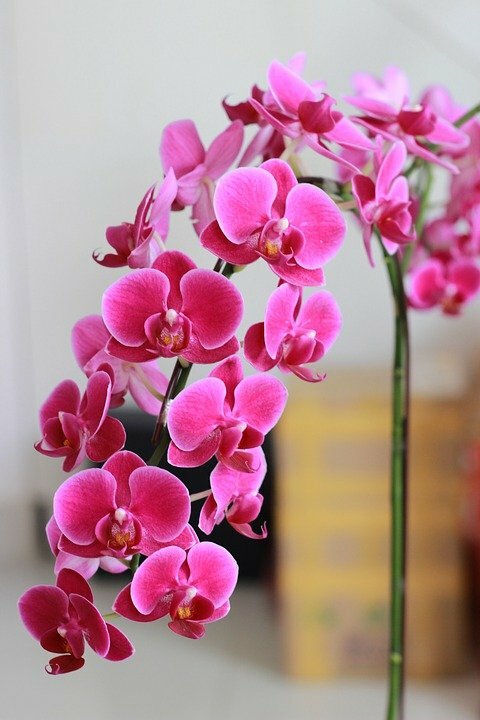 Orchids typically require 6 hours of sunlight each day if you want them to flower and grow properly. Southern or east-facing windows are best. West-facing windows can prove too hot in the afternoon, and northern windows simply don’t get enough sunlight exposure. You don’t want to grow orchids in common potting soil. 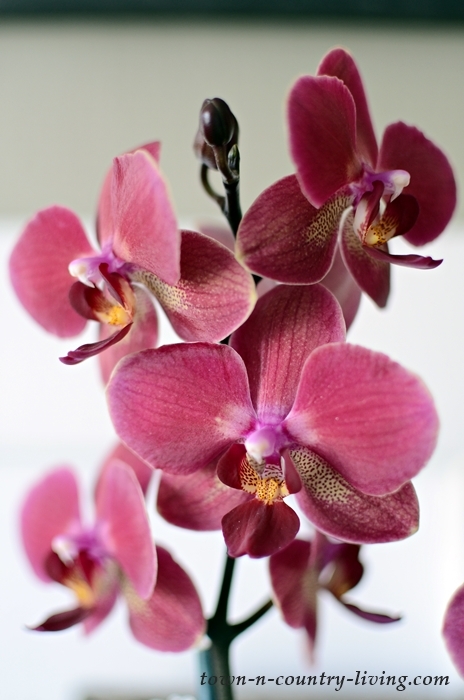 Orchids prefer potting media that allows for good air circulation. Smart options include peat moss, perlite, stones, and coconut fiber. In nature, most orchids experience a 10-degree temperature difference from day to night. 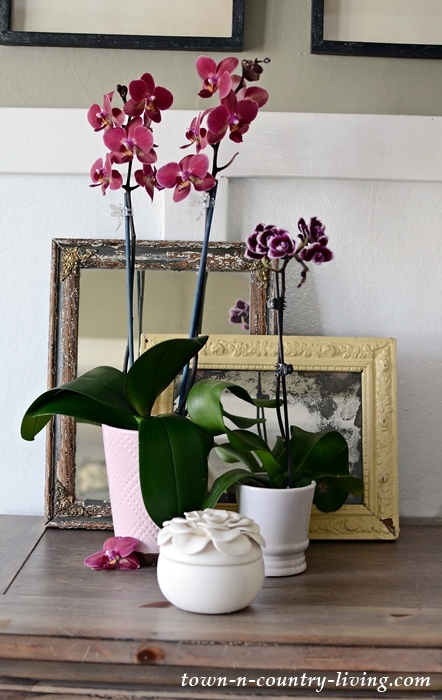 If you don’t mind a cooler home when sleeping, your orchids will reward you with better blooms. Orchids also like air with at least 50% humidity. 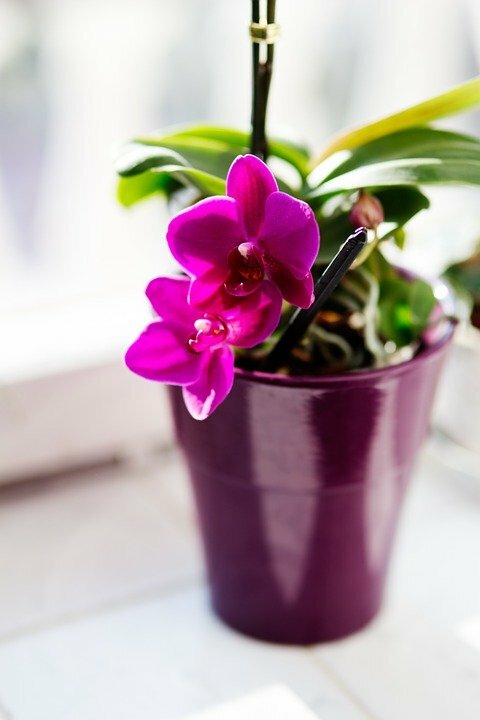 Indoor heat during winter months can be especially dry but you can keep your orchids happy with a humidifier. Or set the orchids on a gravel-filled tray of shallow water. I’ve added a few new orchids to my houseplant collection. I love their intricate details and amazing colors, but I enjoy the white ones too. My bridal bouquet consisted entirely of orchids and a bit of greenery. That’s all I wanted for my wedding day. 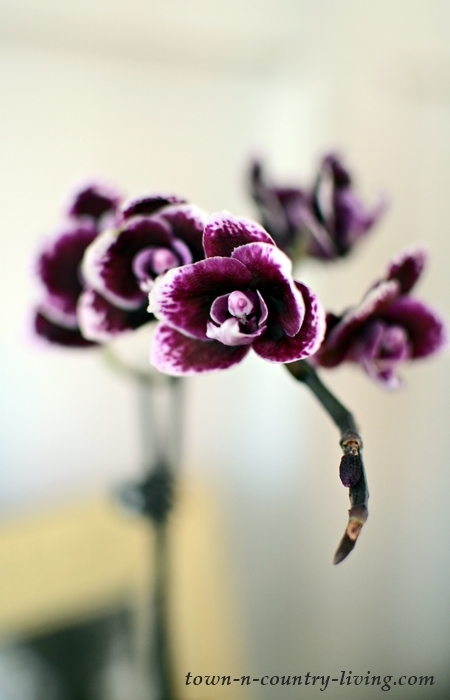 Don’t be afraid to grow orchids indoors. They’re not as delicate as you might think and they add a bit of sparkle and elegance to any room. I don’t know but, maybe i will try the and see how long it takes me to kill the poor thing. I am good with ivy and ferns,thanks. Jennifer, if you want to experience being in “orchid heaven, Go to Orchids by Hausermann in Villa Park. It is incredible! I love orchids and African violets because they add a bit of color during our gray winter days. Thanks for the growing tips! Someone else just told me about that place! I never knew it existed but I definitely plant to visit it very soon. I should take pictures and write a blog post about it!